Willians Astudillo is a big fellow. Round. Built like a very short nose tackle. 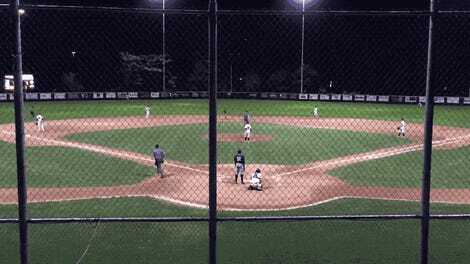 And he is a catcher, the most grueling position in baseball. 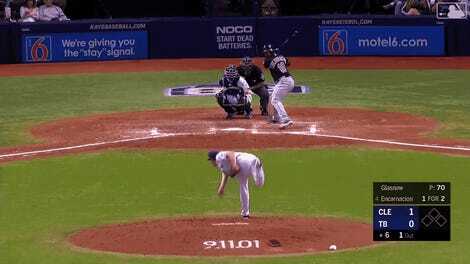 As much as any baseball player naturally wants to score a run, it would not surprise me to learn that any catcher standing on first base is not exactly hoping that a ball sliced into the gap will get all the way to the wall. The face you make when you are running from a lion, or possibly scoring from first on a double. 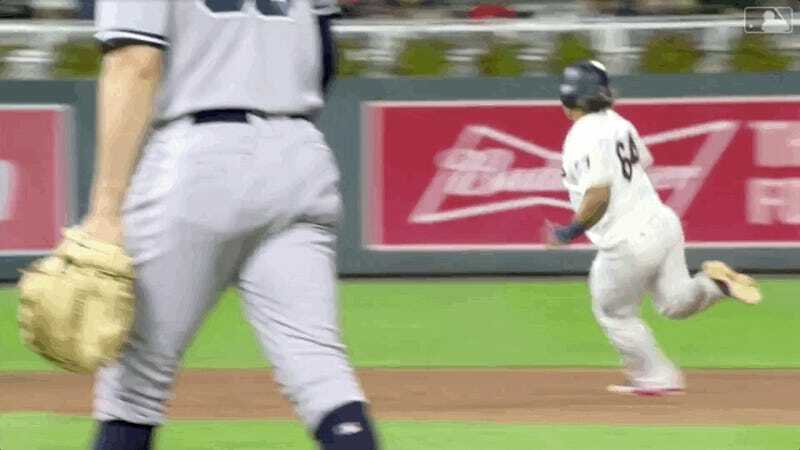 But when Max Kepler sliced a ball into the gap in left center in the bottom of the seventh inning of tonight’s Twins-Yankees game, True Hero Willians Astudillo—who the Twins broadcast says is nicknamed El Tortugo, probably not because he’s so fast—hoofed it around the bases like a man being chased by large predator. Astudillo’s heroic sprint gave the Twins a 3–0 lead, and they would go on to win 3–1. He also cranked a walk-off dinger to beat the Royals on Sunday, so he’s pretty much the greatest baseball player in history.